TROY, Ala., (Oct 10, 2012) – A rising American, a veteran Canadian player who was two years ago ranked No. 38 in the world, and chamber of commerce weather all made for a great match and a great day of tennis in Troy at the 10th annual USTA Tennis Classic of Troy. With a mid afternoon start, American No. 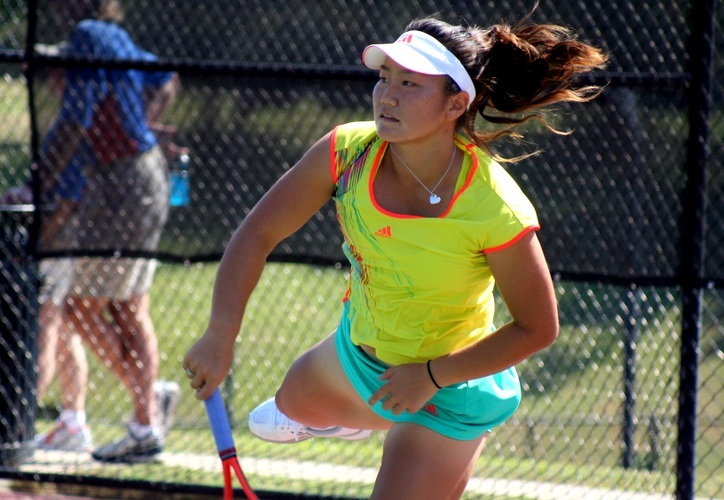 5 seed Grace Min took on Rebecca Marino of Canada who is working her way back up the rankings after being out of tennis for about a year. Min started quickly and relied on footwork that would make her a contender on “Dancing With the Stars.” Marino countered with an aggressive forehand that kept Min off-balance. The first set went to a tie break and Min capitalized on Marino errors to take it 7-5. Min’s momentum carried into the second set as she grabbed an early break and then held serve the rest of the way to take the second set 6-4. Min seemed relieved to win her first round against a more experienced and dangerous opponent. 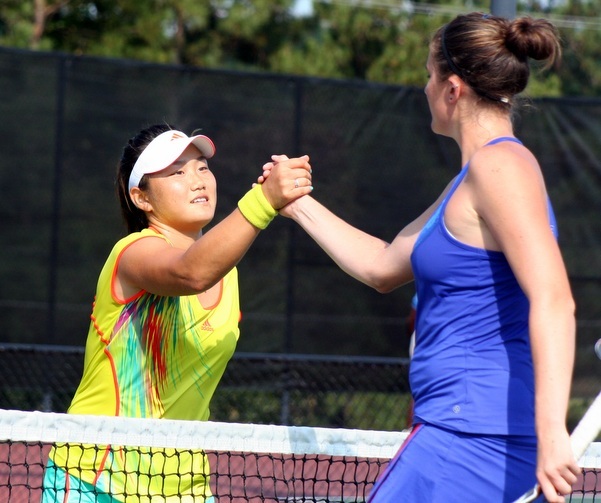 In other matches, second-seeded Edina Gallovits-Hall a Romanian who lives in Atlanta defeated Pila Soumalainen of Finland 6-4, 6-3 and Arina Rodionova of Russia defeated Maria-Fernanda Alvarez-Teran of Bolivia 6-3, 6-1. Rodionova says she appreciates what this tournament means to the players and the community. 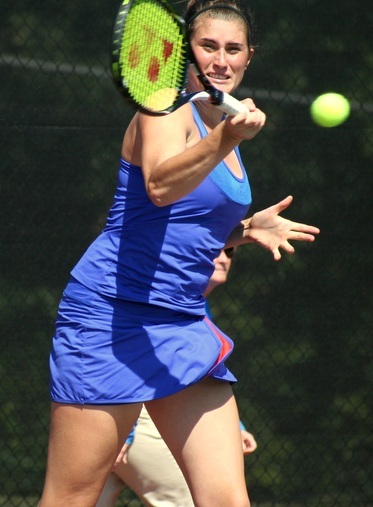 Former University of Tennessee player Natalie Pluskota, who won three matches in qualifying, continued her winning ways with a three-set win over Lenka Wienerova. Thursday’s match to keep an eye on will be an encounter between two WTA Tour veterans in Gallovits-Hall and Rodionova. Although these two know each other very well off the court, they have never played in a USTA Pro Circuit or WTA Tour level tournament. 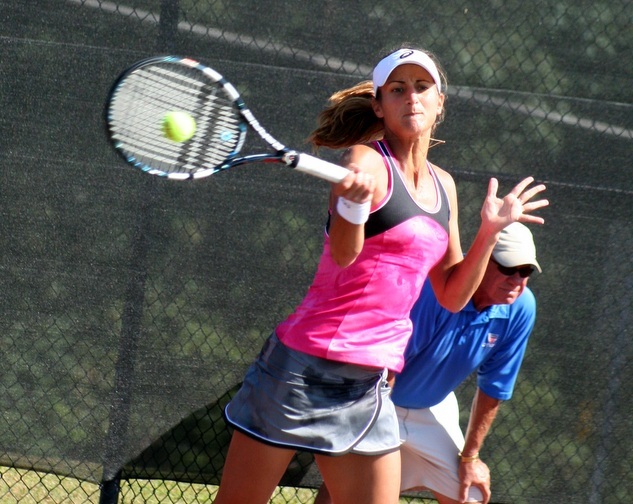 In a big upset in the doubles, Troy University player Hannah Toro and her partner, Maci Epstein defeated the No. seeded duo of Maria Abramovic and Lenka Wienerova 4-6, 6-4, 10-6.